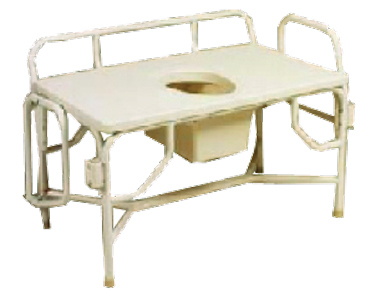 Blow molded full width and depth toilet seat. Riveted and welded steel construction. 1/4" (6.4 mm) Aircraft type rivets - will not loosen. Width between arms: 26 1/4"
Recommended weight capacity: 850 lbs. There are currently no operating instructions for this product. There are currently no specifications available for this product.